Where Do Ice Cream And Inspiration Collide? Ice cream parlors might be a dime a dozen in Massachusetts. But there are still places in and around Boston that you might be surprised to know are making their own ice cream behind the scenes. 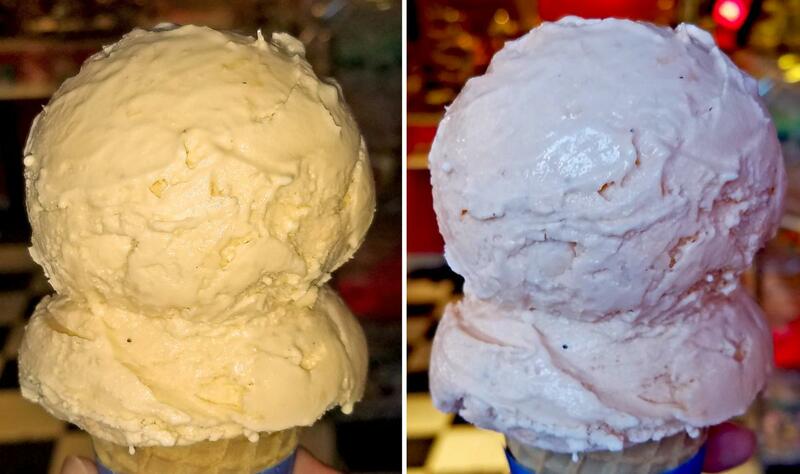 Why would a busy restaurant, pizza parlor, or bakery go to the trouble of homemade ice cream? Simply put, it tastes better; you can get the consistency just right, and be endlessly creative with flavor. And these chefs do just that, taking ice cream to new heights, and pushing the envelope with flavor combinations and innovative dessert accompaniments that you just won’t find anywhere else! Commonwealth Cambridge in Kendall Square calls itself “an American Style Family Restaurant built on good food.” What’s not in this description is the dessert, most notably the ice cream. Made from scratch–they even make the base here–this ice cream is so good, they’ve a job to keep stocking the case of pints sold in the adjoining market. 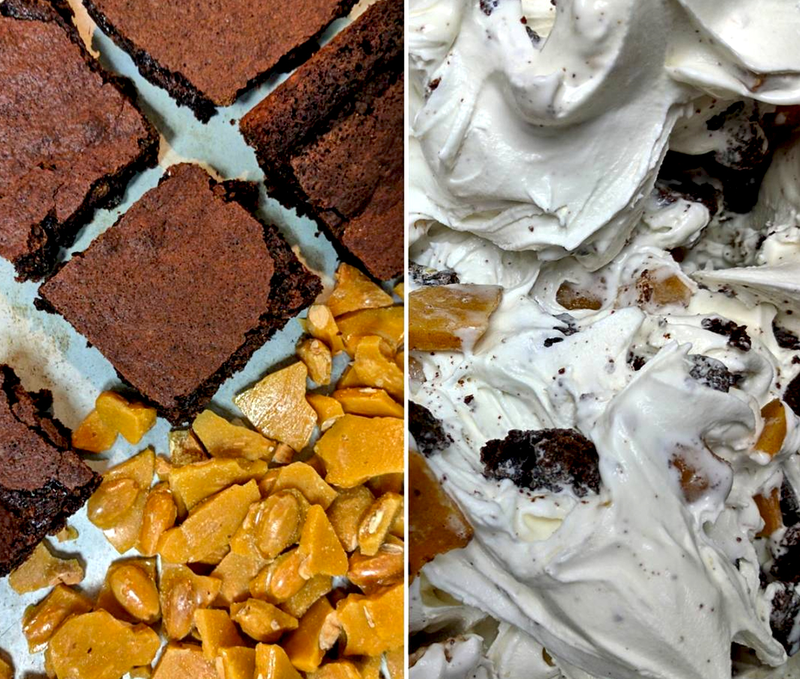 Pastry chef Kristin Beaupre, and her team, have developed a tried and true formula to achieve the ice cream’s perfect creamy consistency, and when it comes to flavor, the bar is set high for the most creative concoctions. Take Red Headed Stepchild, a cheese base, vanilla buttercream, and red velvet cake mixed in. Or there’s The Impeachment, peach swirl with a fresh mint base. Girl’s Night Out contains red wine and chocolate chunks, while The Kitchen Sink literally has everything, from pretzels and potato chips to chocolate chips and M&Ms. If this all sounds too complicated, try the Strawberry Ice Cream infused with their homemade strawberry purée, or go for a scoop of Toasted Coconut, or Cinnamon Honey–both very popular. And it doesn’t get more real than Blueberry Pie which, as the name suggests, is a freshly baked blueberry pie folded into a creamy vanilla base ice cream. 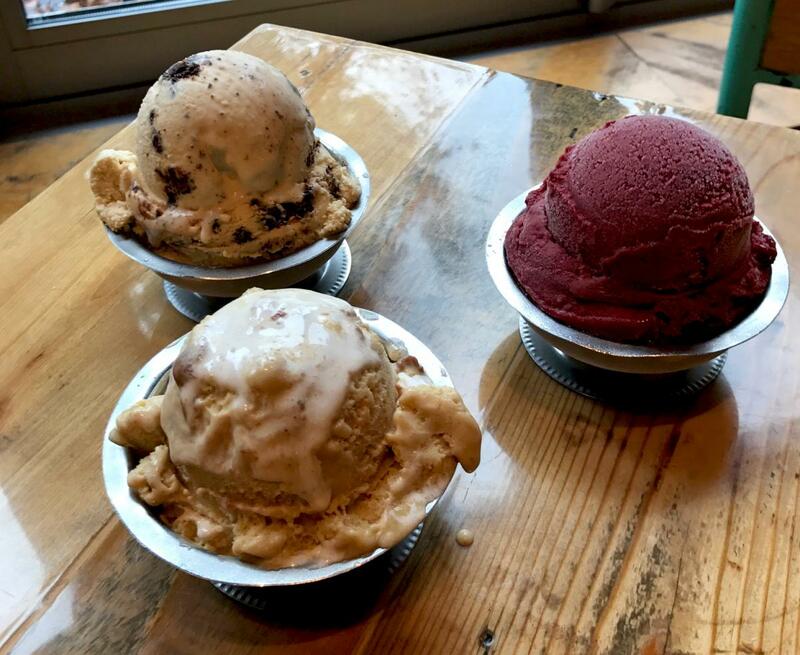 Top off your scoops with one of Commonwealth's homemade toppings, perhaps a chocolate or caramel sauce, toffee dust, snicker doodle crumble, or try Pig Tracks: candies, walnuts, and toffee brittle covered in dark chocolate. 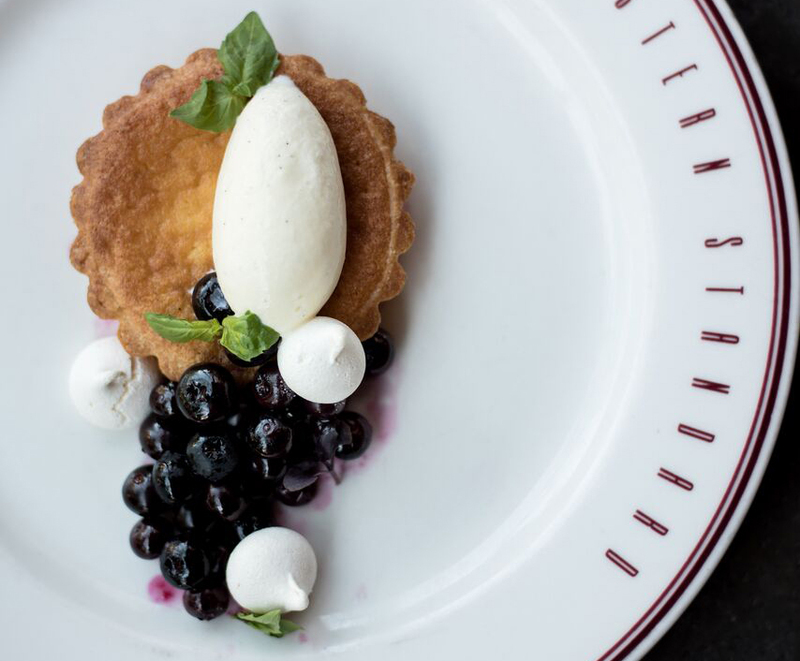 Ice cream flavors at The Commonwealth vary from week to week, as the chefs continue to challenge the status quo with delicious new takes on the timeless dessert, but no matter when you visit, be prepared for an ice cream dish that’ll knock your socks off. At Picco, you know you’re not at any old pizza joint when you can order a roasted cauliflower gordita with spicy aioli & cotija cheese pizza, or spinach pesto, mushroom conserva, and cloumage pizza. You can even choose from a menu of beer and wine to accompany your pie. But did you know that the name Picco is an acronym for Pizza and Ice Cream Company? About that ice cream; starting with the milk and cream, it’s all churned right in the kitchen, and made with the highest quality ingredients. Chef Rick Katz explains that with the pizza and drinks doing so well, he doesn’t have to worry about a profit margin on every flavor, so there's no scrimping on taste. That's why gourmet Scharffen Berger chocolate is melted for the chocolate based flavors, sauces, and homemade chocolate chips. Coffee ice creams are made with Portland Maine’s Tandem coffee beans. Strawberry ice cream is only on offer when local strawberries are in season and, the day we talked, Katz was making ice cream with the local fall raspberry crop. When it comes to flavor Katz does not compromise either; whole pistachios are toasted, and then infused in cream and milk for two days before being strained, to create Picco's ever-popular pistachio flavored ice cream. Mint chip ice cream uses fresh mint, and Tahitian vanilla beans are behind those delicious vanilla based flavors. Can’t decide on chocolate or vanilla? Try the Chocolate Malt Chip; chocolate and vanilla ice cream swirled together with malt and dark chocolate chunks. The ice creams and desserts to accompany them–things like chocolate soufflés, or Blueberry Upsidedown Cake–rotate depending on the season, and what’s fresh locally, but there’s always a mouthwatering selection on offer. So, head to Picco for a slice of specialty pizza and do not, on any account, forget to leave room for dessert! Eastern Standard prides itself on being a neighborhood brasserie, in the heart of Kenmore Square and on the cutting edge of cuisines and trends. 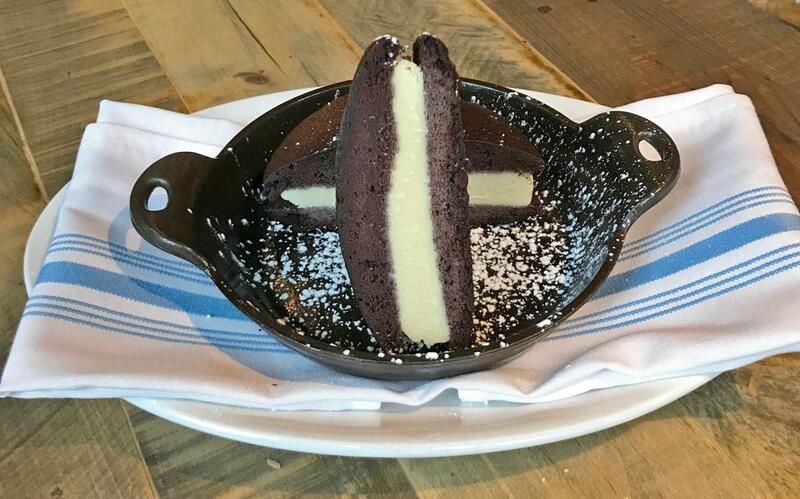 Those in the know, however, recognize that this restaurant could pride itself on its desserts alone. Most items on the dessert menu include some sort of ice cream, sherbet, or sorbet, all churned daily on the premises, often created as a compliment to a specific sweet course. Whether it’s Apple Tart Tatin with Honey Ice Cream, Cheesecake with Rosemary Crumble Crust and Concord Grape Sorbet, Butterscotch Pudding with Praline Ice Cream and Salted Caramel Sauce, or Pound Cake with Fresh Strawberry Ice Cream, the pairings are exquisite. And for those who might want their ice cream straight up, there’s always a surprise flavor of the day. This is the chance for anyone in the kitchen to contribute a good idea and see it realized, explains Linnea Blake, Executive Pastry Chef at Eastern Standard. The daily special allows chefs to let their creative juices flow, experimenting with tastes, and coming up with seasonal flavors. The inventive environment has given rise to some mouthwatering frozen treats, such as Caramelized Honey, Mint Brownie, Toasted Marshmallow, Black Raspberry Sherbet, Cold Brew Coffee, Peach Ice Tea, and Vanilla Plum Sorbet. 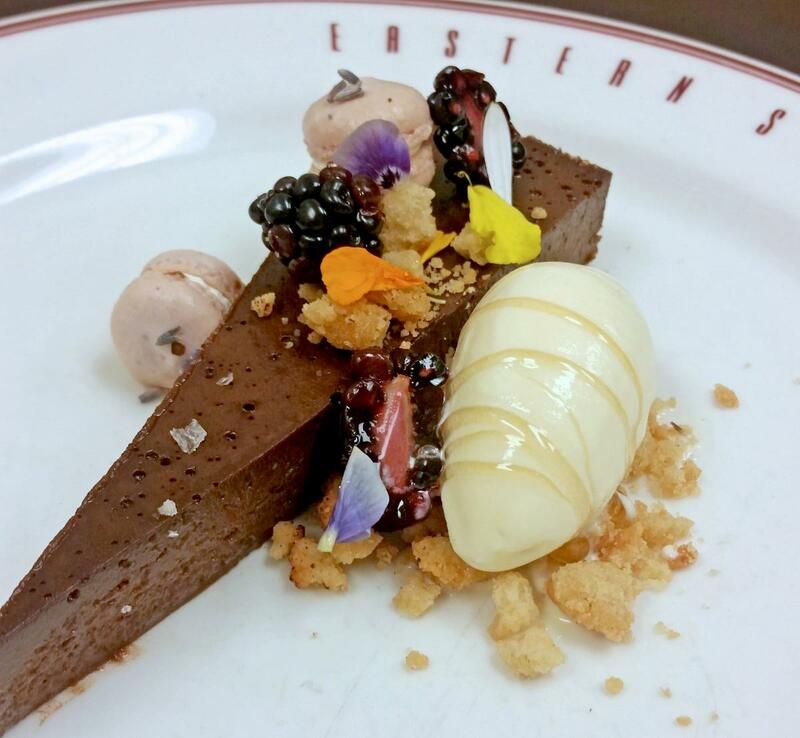 If that piques your curiosity, you'll just have to stop in to Eastern Standard to find out what's on the ice cream menu tonight! At Lulu’s Sweet Shoppe, in Boston’s North End, everything is made right there: cupcakes, bagels and, though in the North End, gelato is ubiquitous, Lulu’s is the only place that makes its own ice cream. Something else that sets Lulu’s apart is the striking selection of gourmet ice cream flavors. Thai Tea Coconut, Salted Caramel with Chocolate, Green Tea Matcha with Ginger, and Stout Beer Ice Cream make Lulu’s a foodie’s dream. Sandy Russo owner and baker/chef grew up in an Italian family and learned to bake watching her mother, whose culinary skills made her a neighborhood icon. Step inside Lulu's and it's instantly clear that Russo knows a thing or two about desserts, but don't let the dazzling display of baked goods distract you from the ice cream! Some of Lulu's ice cream flavors harken back to Russo's Italian roots. Her well-loved Pistachio Port Wine Ice Cream, for example, was inspired by the spumoni, she had as a child–her family, she recalls, would pour claret wine over the dessert. Exotic tastes like this have fast become hits with customers, but the more standard flavors should not be overlooked. The Chocolate ice cream is deliciously dark and rich, while coffee beans from a local North End café flavor the Espresso with Oreo ice cream. 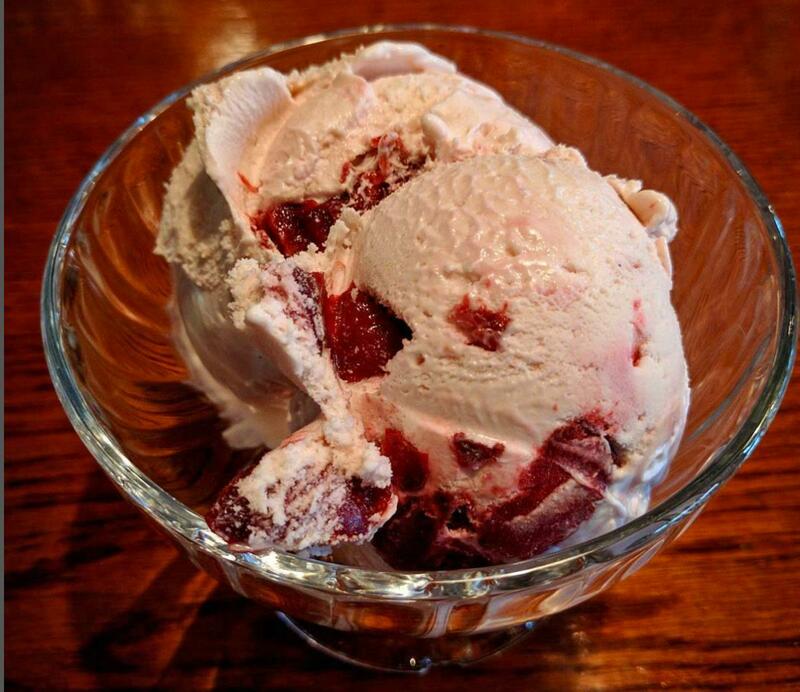 Fresh strawberries, raspberries, and blackberries are baked daily, infused with sugar and spice, to create exquisite fruit flavored ice creams. And with the bakery right there, the most mouthwatering cross-overs are inevitable. Do you like cake and ice cream together? Try the birthday cake ice cream! Or enjoy your scoops between freshly baked waffles, or cookies. Seriously, what could be better?! 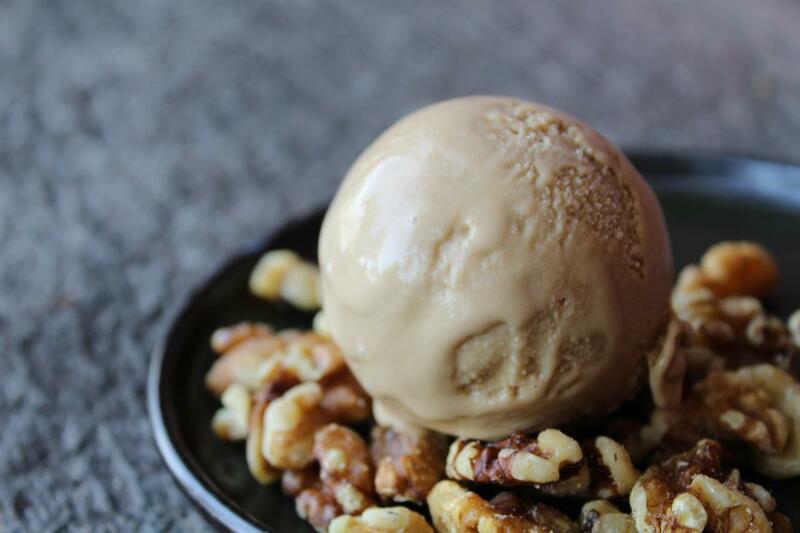 Making ice cream is a pleasure for James Beard Award-winning chef Tony Maws. It’s just a lot of fun, he explains. Also Craigie on Main, in Cambridge, is a craft-oriented restaurant; wherever possible, they’re making food from scratch, so it goes without saying that the ice cream here would be hand-crafted. But, perhaps most importantly, when Maws and his team make the ice cream themselves, they have control when it comes to texture, and experimenting with flavors. 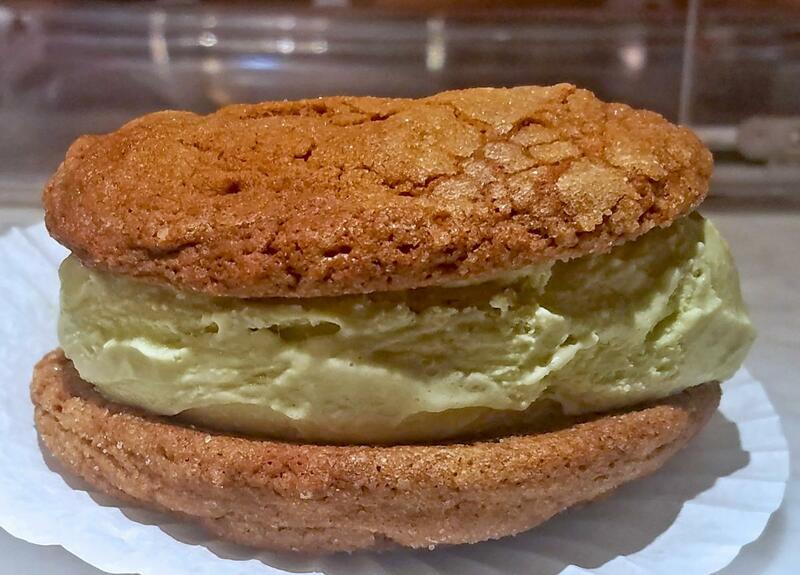 You’ll be hard pressed to find, anywhere else, the class of ice cream, made in the kitchens of Craigie on Main. Anise Hyssop–a kind of licorice mint, Black Walnut, and Young Ginger are just some of the flavors they create. Maws likes to combine herbs and spices when he can. Tarragon Ice Cream and the Canela, which has a Mexican Cinnamon flavor, are some examples. 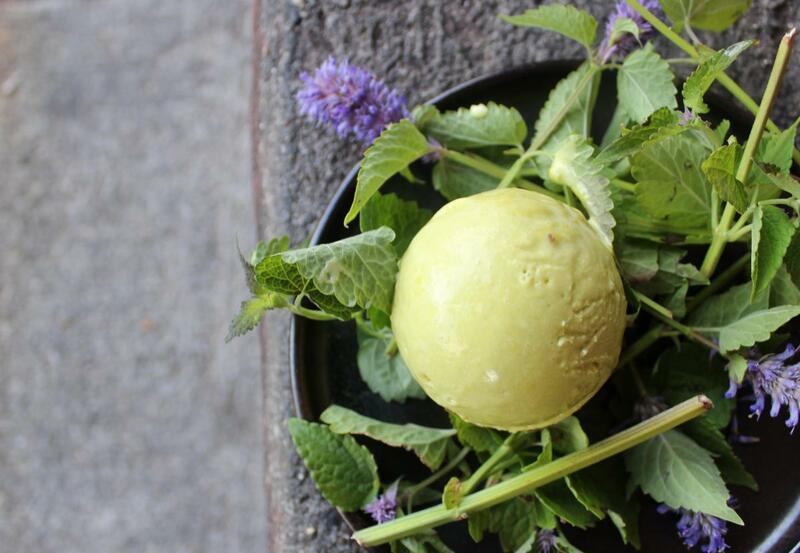 He’ll use different mints to create variety, as with the superb Mountain Mint Ice Cream. Depending on the flavors and textures they seek, the techniques used to make the ice cream vary–liquid nitrogen, in some cases, or an ice cream machine in others–but the conversation and the innovation is ongoing. Look out for the Chef’s Whim, a Sunday night Craigie tradition that gives rise to out-of-this-world combinations such as Pear and Champagne Sorbet with Ginger Meringue and Tapioca, or Black Tahini Chocolate Cake and Warm Apple Fritters with a Whiskey Ice Cream. Of course, the ice cream flavors have a level of seasonality. Summer sees more fresh fruits, while you can look for Chestnut Ice Cream this fall. There are times when the ice cream is created as a compliment to one of Craigie on Main’s magnificent desserts, but Maws makes it clear that it doesn’t have to be, that the ice cream at Craigie on Main is often, deservedly, the star of the show.